Research has shown that asthma inhalers can stunt the growth of children. A study evaluating more than 8,000 under-18s found that use of the common inhaler reduces growth rates by about half a centimetre during the first year of treatment. However, doctors have warned it is "vital" that parents continue to allow their children to use the "life-saving" medicine. And at this time of the year it is also worthwhile for parents to remember to take their children's inhalers on holiday and take out asthma travel insurance which will cover symptoms should the sufferer's condition worsen while away from home. The study, published by the Cochrane Collection think tank, said with lower doses of the drug, the effect on growth can be minimised, and growth can return to normal after the first few years of therapy. Lead author Dr Linjie Zhang, from the Federal University of Rio Grande in Brazil, said that reduced growth is "less pronounced in subsequent years, is not cumulative, and seems minor compared to the known benefits of the drugs for controlling asthma and ensuring full lung growth." Meanwhile, Samantha Walker, director of research and policy at the charity Asthma UK, said the report was good news for asthma sufferers as it showed the side-effects of inhaled corticosteroids were "relatively minor". "No parent should therefore stop their children taking these lifesaving medicines", she added. Dr Glenis Scadding, consultant physician in allergy a at the Royal National Throat, Nose and Ear Hospital in London, said the preventer medication helps cut the death rate from asthma. 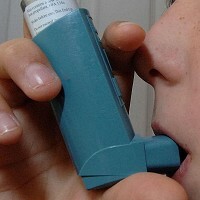 With the condition still linked to thousands of deaths each year, she stresses it is vital that parents do not stop giving their children asthma inhaled corticosteroid, with the reported effects on growth being described as a "small price to pay" for to ward off potentially lethal asthma attacks.